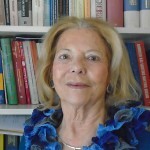 Aliki Hatzopoulou is Emerita Professor of Law at the National Technical University of Athens (NTUA), where she has been teaching urban law, urban development, public procurement, public works, and many more. She is the author of one of the leading books on the tendering and execution of public works (Papasotiriou: Athens, 2006 and 2008) as well as a book on urban law (Athens: NTUA editions, 2003). She is the author of over a hunderend articles on various areas of law, including urban, administrative and EU law. Her Ph.D Thesis on the EU preliminary ruling was published well before Greece’s accession to the EU, in 1976. She has a long standing practice (over 40 years) on issues of public works tenders, engineer’s fees, environmental law, expropriation, urban planning and illegal constructions and general administrative law (Legal Consultant).